Are you a fan of Captain America and all its character? 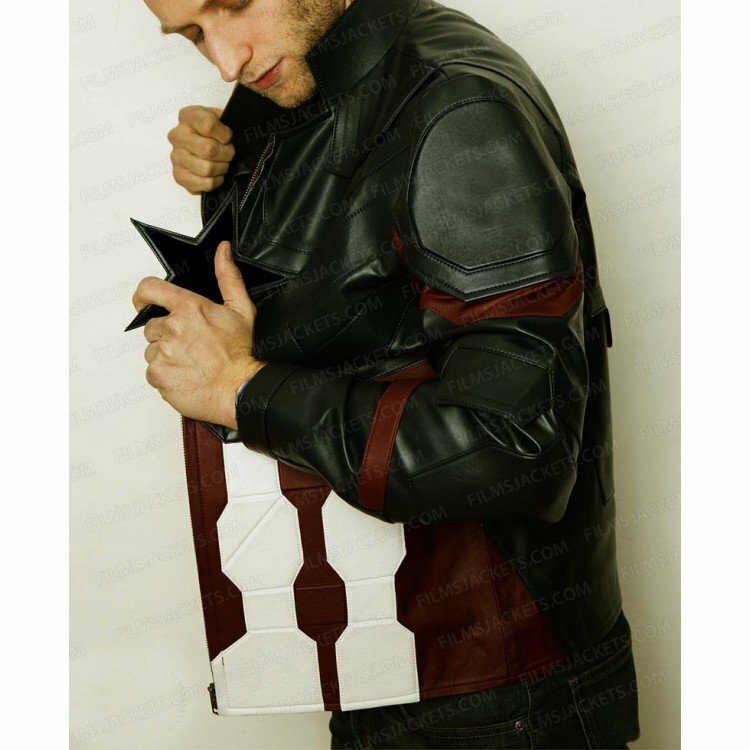 This will surely delight you then, we have Avengers Infinity War Captain America Leather Jacket that is masterpiece with deft stitching and perfect art design. This jacket has all the little details that you see in the real Captain America’s Jacket. Made with the handpicked faux leather this leather jacket is true beauty, the viscose inlaid make this soft and an all-day wearable. The coal black color and the details given with red and white color ascend it within others. 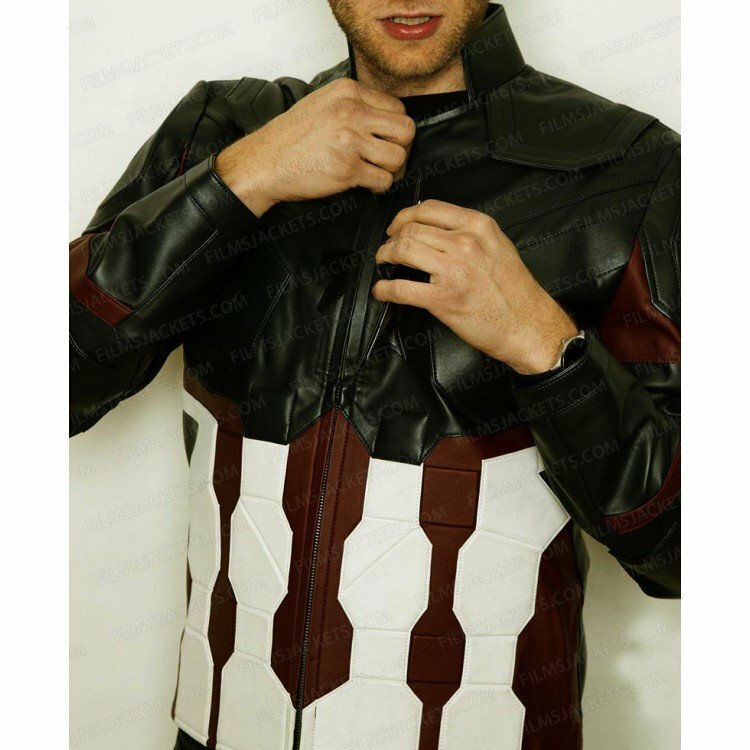 The erected collar with YKK zipper on the front brings out the pure uniqueness to the Infinity War Captain America Leather Jacket. 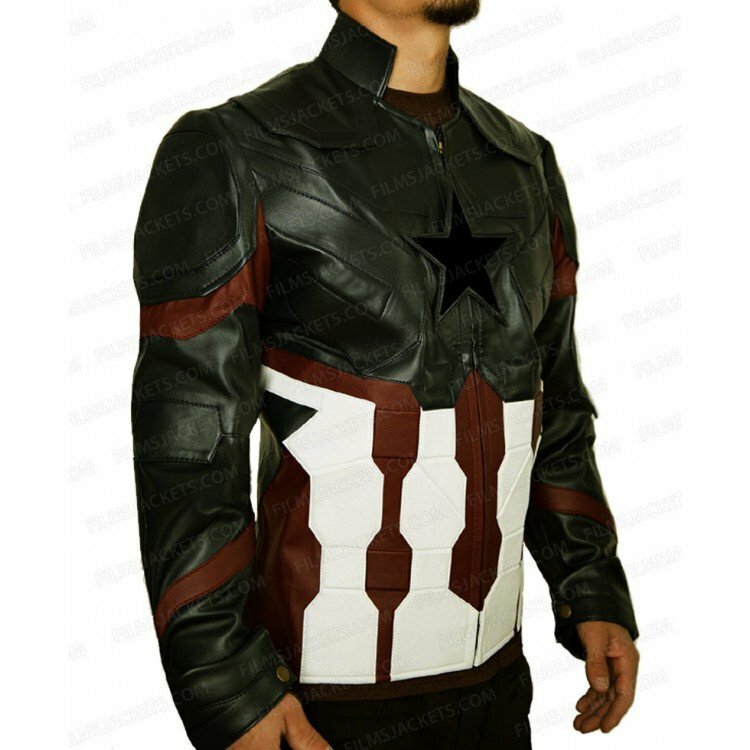 The zipper cuffs with button on the ends the sleeves enhance the superhero look, adding more to this stunning outerwear the original star logo is printed on the chest to make you feel like the real superhero from Captain America. I purchased this jacket from your site and I guess I got it within a week. 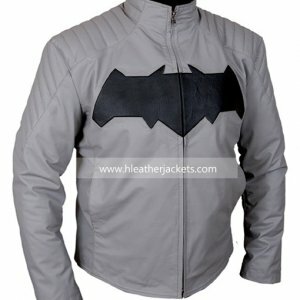 I liked the jacket but I found a little difference between the color just a slight over all it is a nice wearable. The material used is very nice and of fine quality. It is very soft inside and I loved the embossed designing done on it that really makes it different from the others I have or the others that are in the market. Keep up the good work. I had a trip coming with my friends and for that I bought this jacket. The first thing that really impressed me was the easy to carry feature of this jacket. The jacket got folded in a small size and took a small space in my suit case. I wore this jacket there and my friends were like Wow Gosh and what not. The jacket is very comfortable to wear and at the same time I didn’t feel cold it covered me in warmth. The designing on this is very nice and that is eye catching. I would surely make more purchases from your site. Well done.